The SupaChair Safari Sport has been designed for indoor/outdoor use. Featuring larger wheels & motor to enhance its performance. The SupaChair Safari Sport is a refreshing and simply designed indoor/outdoor powerchair with a unique dual spring seat column that will provide you with extra legroom and superior ride quality. For safety, the anti-tip wheels help you to remain stable while going up ramps, slight inclines, and across uneven terrain. Also, the turning radius is 730mm which will be useful in a confined space. When it comes to storage, the Safari Sport will break down into two parts, making storage in a car boot simple and easy. The joystick control provides you with 360° turning capabilities and is easy to learn. This means that whatever your experience, you'll be riding around like a pro in no time. Also, the battery can be easily removed for charging. It can be powered by an SLA or Lithium battery and has a weight capacity of up to 19 stone. 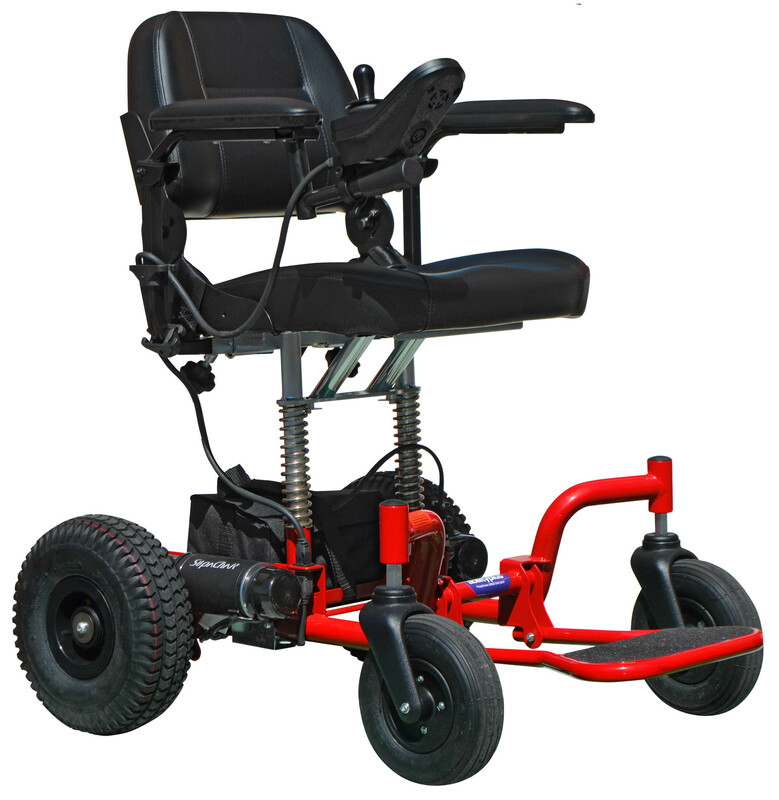 The SupaChair Safari Sport is equipped with large wheels and motors which provide a heavier duty feel, with enhanced performance on uneven surfaces and rugged terrain. If you require further information regarding our SupaChair Range, please call us on 02392 255600. We'd be happy to answer any questions you may have or send out a brochure.